This recipe is inspired by my aunty claire, who just a few days ago made the best ragu i’d ever tasted. Slight lie, as, of course, only your own mothers homemade ragu or lasagne is the best, but, my aunty's came closely behind. When we asked her her secret, she said ‘cumin’. When we nodded and continued eating she added ‘and high percentage dark chocolate’. That stopped us in our tracks, forks just inches away from our mouths. We pondered it for a moment and then decided, yes, wow, how genius is that, it really works. We loved it all the more once we knew it had chocolate in it, and i immediately wanted to get home and master a recipe for cacao mince - my own dairy-free, superfood take on a traditional dish (not sure what the italians would have to say about that though). Ragu is the ultimate comfort food. I remember when i first moved away from home i would make myself vegetarian ragu at least once a week. It was easy, quick and is so warming in winter months. The flavour the cacao adds to this recipe is a deeply comforting one. It adds a unique richness to the meat, and although you wouldn’t expect it to work with a sauce of tomatoes and red peppers, it really does. 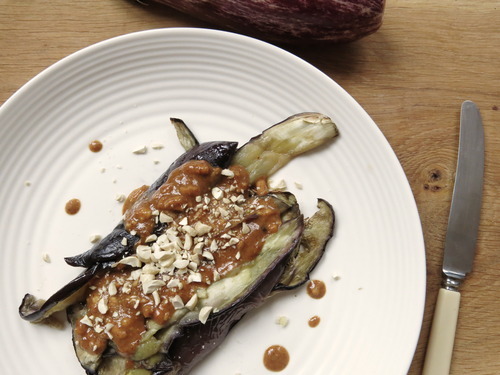 It somehow disappears amongst the other ingredients, bringing all of the flavours together to make a dark, creamy sauce, filling it with unique flavours. Cacao has the ability to bring out the true flavours of foods that it is combined with, which is what makes this dish different to just about any other dish you have ever tried. This recipe is fairly straight forward, however I would advise you take quite a bit of time over it, giving it your full concentration in order for it to become as delicious as it can. It will only take you about forty minutes to perfect the meat, but the longer you leave it to cook and simmer, the more the meat will absorb all of the important ingredients. And if, like me, you are going to go all out and make an entire Burrito Spread, allow another hour or so to prep the sides, and really excel in the buckwheat burrito department. 1/2 Cup Vegetable Stock (I personally think the nutritional yeast does the job of a stock cube, so this isn’t essential). Pour the olive oil into a large pan and add the chopped tomatoes, garlic, basil, broccoli, salt, tamari, nutritional yeast, onion seeds, lemon juice, spinach and chopped peppers, and simmer for 20 mins on a medium heat. Remove from the heat, let cool momentarily and then transfer into a blender. Blend on high speed for 2 minutes, until more or less smooth, then return to the pan. Add the mince, cumin, cacao powder and all of the other ingredients and simmer for 30-40 minutes on a medium to low heat. After about 20 minutes, place a lid covering the pan 2/3 of the way and continue to simmer until the meat has absorbed most of the liquid. + You can make this more quickly if you are in a rush, and can merely simmer the sauce with the mince until the meat if cooked through. However, the longer you leave it, the more flavoursome the meat will become, and the less runny the sauce will be. + Save any leftovers in the fridge to take for lunch, adding to a salad or enjoying with quinoa and avocado. Burritos are an incredible invention. They make it acceptable to have a million forms of carbs in one meal, as well as, for that matter, a million types of food in one meal. You can literally add anything to a burrito, the same way you can with fajitas. The wonderful thing about a tortilla wrap is that you can pile on as much of absolutely anything you like and tailor it to your needs. Burritos also bring out a sense of certainty in a person. No matter how much you manage to fit into your wrap and no matter how creative you get, you will, with great determination, be able to eat it. Whether it is in a dignified manner, well, that’s another story. whisk all together then ladle into a frying pan lightly greased with coconut oil. i experimented with about 3mm thick and even thinner, but the thinner ones were more crispy which meant they didn’t fold well (just what you need for a burrito). the thinner ones i broke into pieces and they made really good tortilla chips for guacamole and salsa. Keep about 3mm thick, heat on medium heat for 5 minutes each side. It will feel spongy inside, so keep cooking if it feels a little raw. + To make TORTILLA CHIPS simply pour about half the amount of mixture into the saucepan and spread it around so that it coats the entire base of the pan, but is extremely thin. Cook in the same way as above, but for a little less time. Keep flipping, and when each side it toasted nicely and beginning to brown, set aside on a plate to cool. As it cools, it will become even crunchier, and after about 5 minutes you can break it into rough pieces or chop into triangles to recreate Dorito like Tortilla Chips. You can sprinkle coconut oil, desiccated coconut, nutritional yeast, turmeric, cumin or any other spices you desire on top to add flavour. + You can even use the above recipe to make naan breads. Simply keep the mixture to nearer 1 - 1.5 cm thick, and cook as directed above. I would add crushed garlic, ground almonds and desiccated coconut to the top wet layer and either fold the mixture over itself or add a little extra mixture to cover these additional flavours. I don’t like onions which is why I don’t put them in guacamole. I don’t stick to any general rules when it comes to guacamole at all, no chopped tomatoes either. I prefer it smooth and all the more creamy, but you can add chopped tomatoes, raw or spring onions and garlic if you wish. A refreshing variation is to add diced fennel before or after the blending process, which I strongly approve of. Simply add all of the ingredients to a food processor or blender and blend on high speed for 2-3 minutes, until smooth. If you like a few chunks, blend only for about 2 minutes. You can add absolutely anything to this salad. The spinach and kale are a great base and the fennel adds a refreshing flavour and a juicy, crunchy texture. Drizzle with lemon, lime or fresh orange juice as well as the zest, if you want to. Enjoy in or beside your burritos. Place the lentils and salt into a small pan on a low heat. Add the water or nut milk and stir to combine. Simmer and stir this way until the lentils become soft and begin to form more of a paste. Remove from the heat and stir through the tahini, coconut oil and coconut milk - if using. Pour into a bowl and serve as an alternative to refried beans. I love this recipe as it is so simple. Everyone is always amazed when i serve it and they always agree it is much more flavoursome and of course far less stodgy than conventional rice. Simply chop the cauliflower and place it in a food processor or blender. Blend on a medium to high speed for as little as 30 seconds, depending on the sizes of the chunks of cauliflower - it may need longer. When it has become a rice/cous cous consistency, either warm gently in a saucepan, frying pan or microwave, or transfer to a bowl and serve raw.